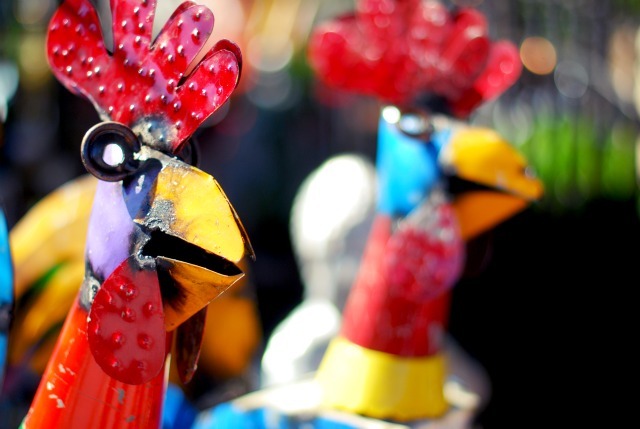 I've been on the hunt for new and interesting items for my home. I love how vintage pieces bring unique character to a space. 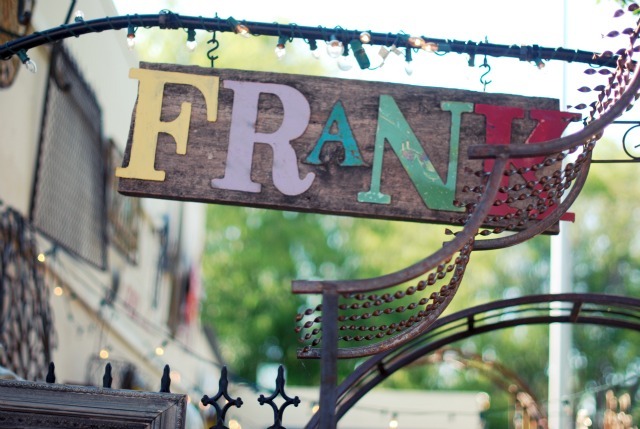 So I was thrilled to stumble upon this tiny vintage store--Frank in Los Gatos. It's full of cool curiosities. 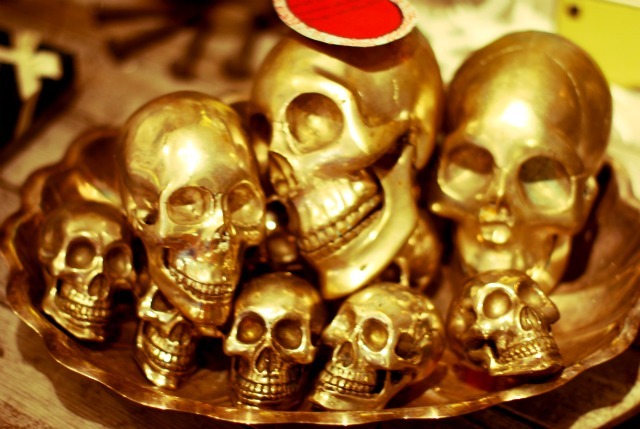 I was fascinated with the skulls and I'm already thinking of a way to incorporate them into my more feminine style. Exciting ! I think you could pull any of these pieces off. Just think how you mix an outfit together and apply it to your house! I love! It looks like such a fun place to poke around. Love the skulls. There is a store I walk by in Nolita on my way to whole foods for lunch that has hand painted porcelain skulls that are amazing. For an event I did recently, I set gold skulls in a clear shallow hurricane of gold sequins. Looked amazing! I love quirky little shops like that...you always find the best stuff! I absolutely LOVE places like that! Looks like fun!! 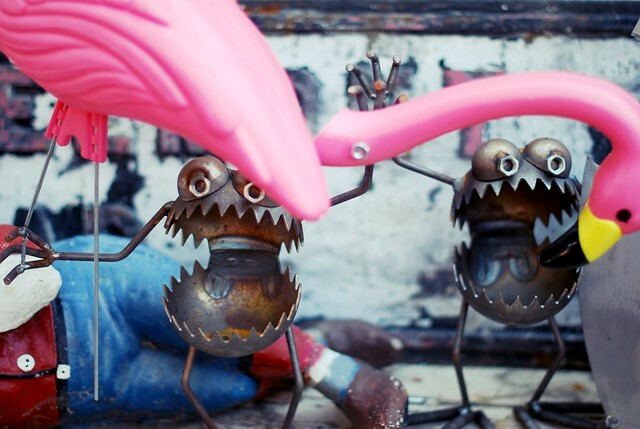 Those little monsters with the Flamingos are by Fred Conlon from Sugarpost. You should totally check out his stuff. It's amazing and he's a really hilarious guy too! Those lawn frog monsters look like they could take out a leg! Cute, but dangerous! Beautiful photos! Love all the vibrant colors!! I love the letters!! They are my favorite! How fun!! 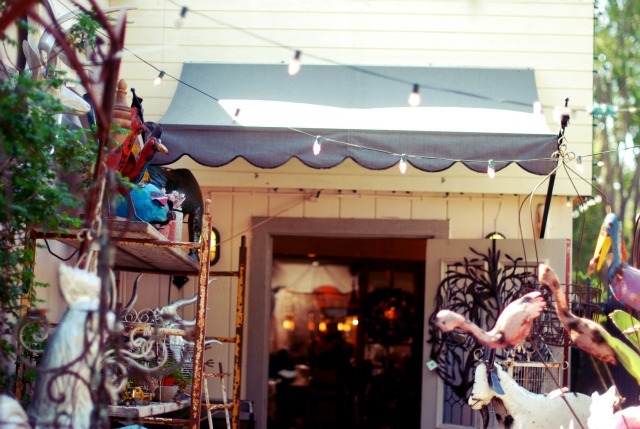 This store looks like it can have many treasures and those skulls would be a great addition to any home!! Oh I love stores like that! How fun! Those skulls are super cool, love the color. 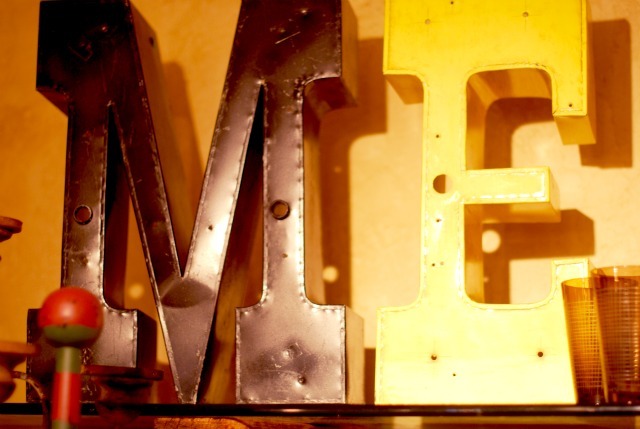 And the ME letters could be fun too! HA! Ive been here! Love LG and all its cute stores! I love all of these! Those skulls are definitely my style! Im moving and really searching for unusual stuff for my room! Love little shops like this! Those gold skulls are so fresh and funky! I can see them peering up from my jewelry tray just waiting to be worn! Skull rings, how cute would that be?? Wow! Vintage is my heaven. The plate with skulls is fantastic! So fun! I love hunting for new goodies for my place...can't wait until it is for my home one day! :) Wonderful pictures too! This place has a lot of great stuff! Now that's a vintage store made for me! Lovely finds. so fun - nothing better than finding a cool new shop! those skulls are amazing - would love to see how you work them into your own style. So jealous of all the vintage store the west coast has to offer! OMG I want all of those gold skulls! So amazing!